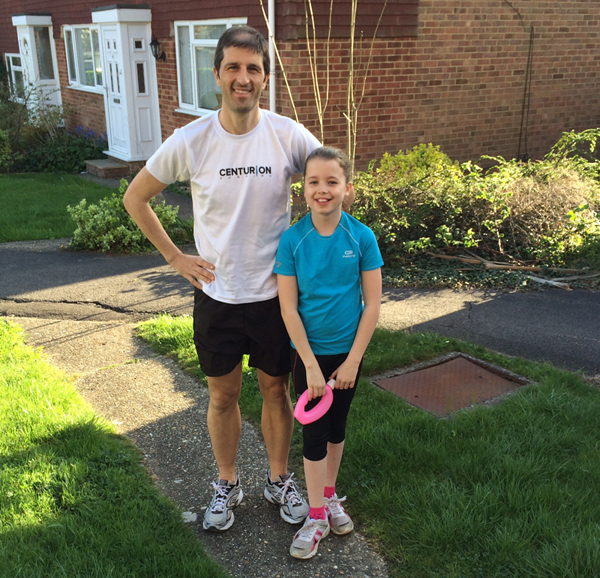 A quick blog to record the moment that my daughter Annabelle and I went out for our first run together…. at her request! We didn’t run very far and it was a bit of a “sprint interval session” (i.e. sprint walk, sprint walk) but it felt pretty cool. I was “chicked” at the end of our short run as she dashed for home. Perhaps a Parkrun beckons in the near future?